Home > News > 2018 ALUCA TurksLegal Scholarship – and the winner is! And the winner of the 2018 ALUCA TurksLegal Scholarship is… Evgeney Schkola, Case Manager, CommInsure! Evgeney has been awarded this year’s prestigious ALUCA TurksLegal Scholarship for his paper on ‘How will “Insure Tec” shape the future of the Life Industry’. In his thought-provoking and well researched paper, Evgeney highlighted the challenges of data analytics for the Life Insurance industry and how InsureTech applications can play a beneficial role in this. He also looked at the potential social challenges that the industry could face in the future with the adaptation of InsureTech in the workplace. Receive automatic membership to ALUCA and TurksLegal’s scholarship alumni program, Life Insurance Future Thinking (LIFT). “Evgeney’s paper began with a Peter Drucker quote ‘The best way to predict the future is to create it’, and developed an insightful and compelling account of the benefits InsureTech will bring to the industry. The paper tackled challenges for the industry in relation to data collection, use and protection and as well as its many benefits, such as the power of data to create better customer experience and its applications in streamlining underwriting and claims” said John Myatt, Lead Partner of TurksLegal’s Financial Services practice and member of the scholarship’s judging panel for the last twelve years. The 1st runner-up is Christine Gan, Senior Manager, Underwriting Technical & Capability, CommInsure for her paper on ‘How will the insurance industry adapt to a future where periods of mental ill-health and inability to work may become the norm for its customers’. Christine wins a $1,000 Visa pre-paid gift card. The 2nd runner-up is Aimee Kelly, Senior Claims Assessor, CommInsure for her paper on ‘Has the Community lost sight of the good our Industry does?’. Aimee wins a $250 restaurant voucher. 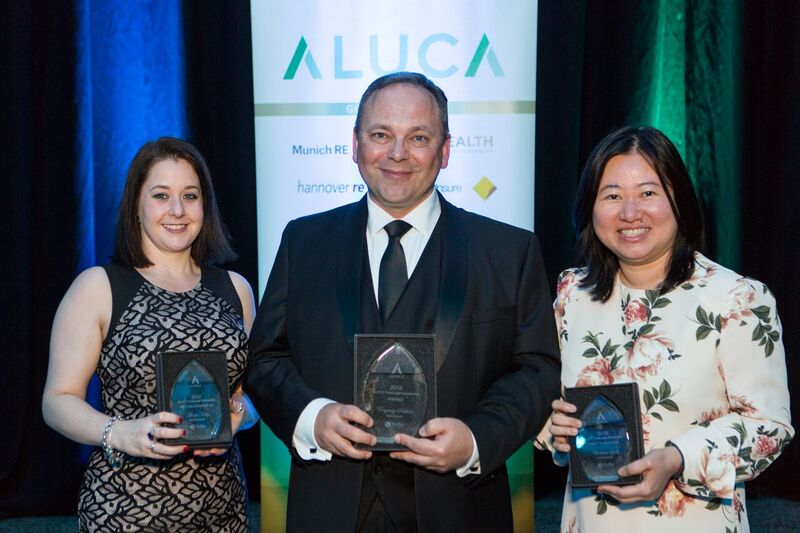 “It is always pleasing to see the depth of talent within the Life Insurance industry, and the ALUCA TurksLegal Scholarship entries have once again shown this”, said Devi Uka, Deputy Chairperson of ALUCA and member of the scholarship’s judging panel. The Scholarship winners were announced at the ALUCA Biennial Conference held in Hobart on 13 October 2018. Entries were received from a broad cross section of the major insurers but this year, the winning papers all came from CommInsure. Congratulations to CommInsure for its long term support of the scholarship and the high quality of the entries they submitted. The 2019 ALUCA TurksLegal Scholarship will open in July 2019.